This is part six of a series of exclusive conversations with this year’s Architectural League Prize winners. “Our motto is, ‘enjoy architecture. We really want to enjoy doing our work. At the same time, we want to do the work that people can enjoy,” says Lap Chi Kwong, one-half of design duo Kwong Von Glinow Design Office. 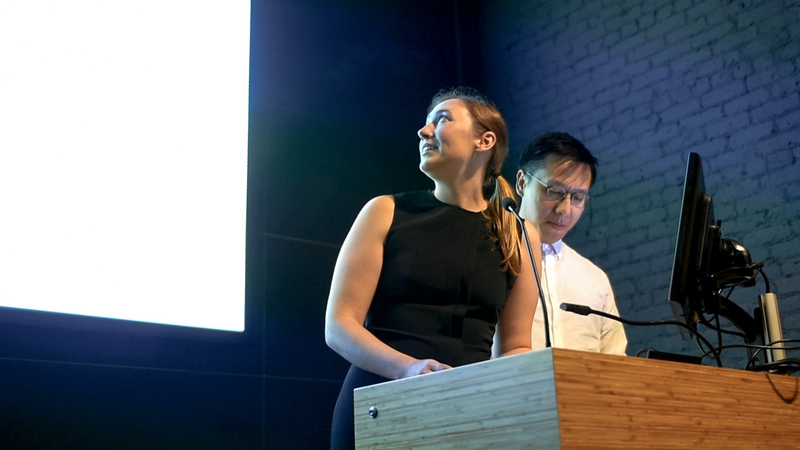 Kwong is married to Alison Von Glinow, and together the young architects founded Chicago-based design practice in 2016, having first worked for the likes of Herzog & de Meuron, SOM, Wang Shu and Toshiko Mori. 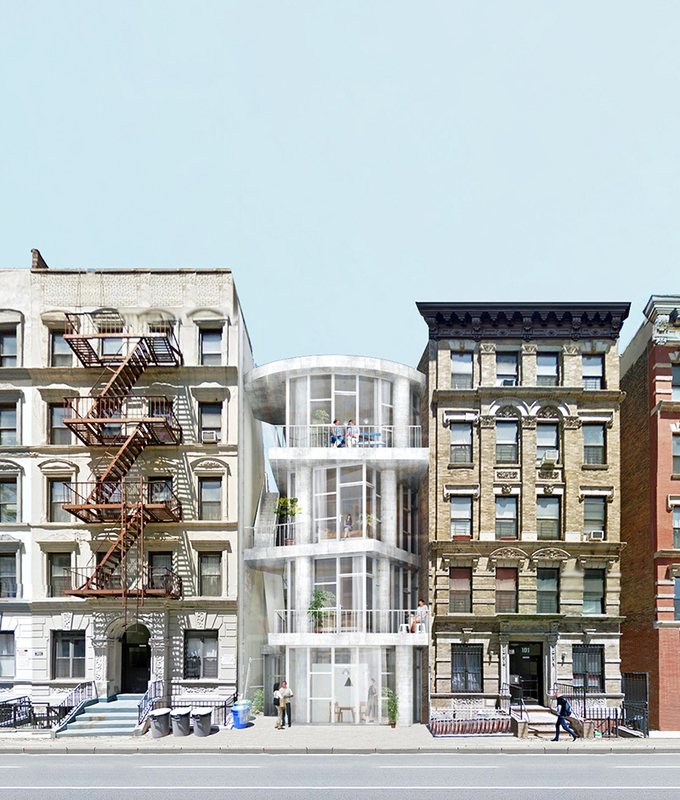 We caught up with the duo in New York after they submitted a winning idea for 2018’s prestigious Architectural League Prize competition, which turned typical architectural structures – like an apartment building – into new avenues for organic, social interactions. 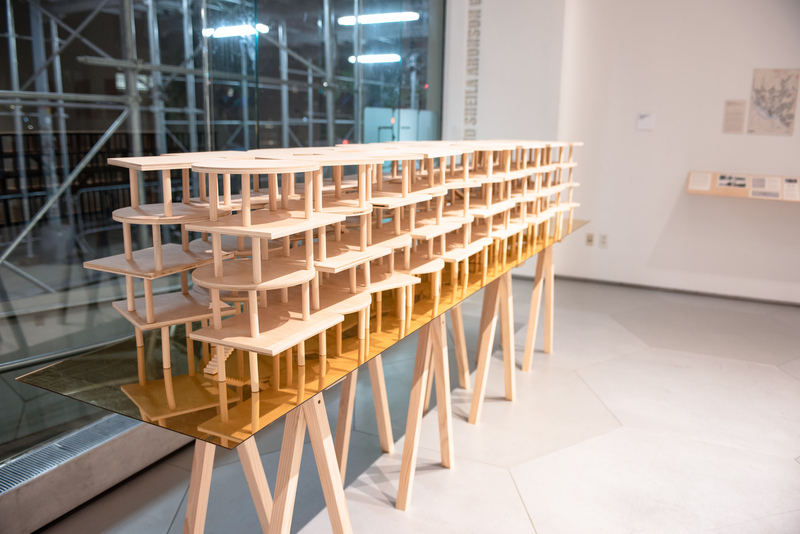 Kwong Von Glinow exhibited at Parsons School of Design with fellow winners of the Architectural League Prize. 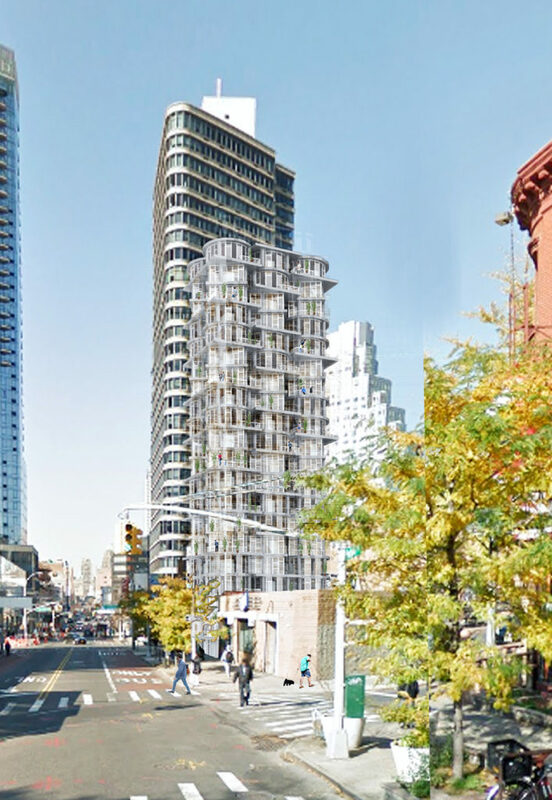 Lap Chi and Alison addressed the prompt, themed around objectivity, with a passionate yet easy-to-digest rethinking of affordable affordable housing in New York City called The Table Top Apartments. They exhibited a 10-foot-long model of a modular system of a series of table tops, which stack to allow for diversity and flexible design to accommodate various unit combinations. 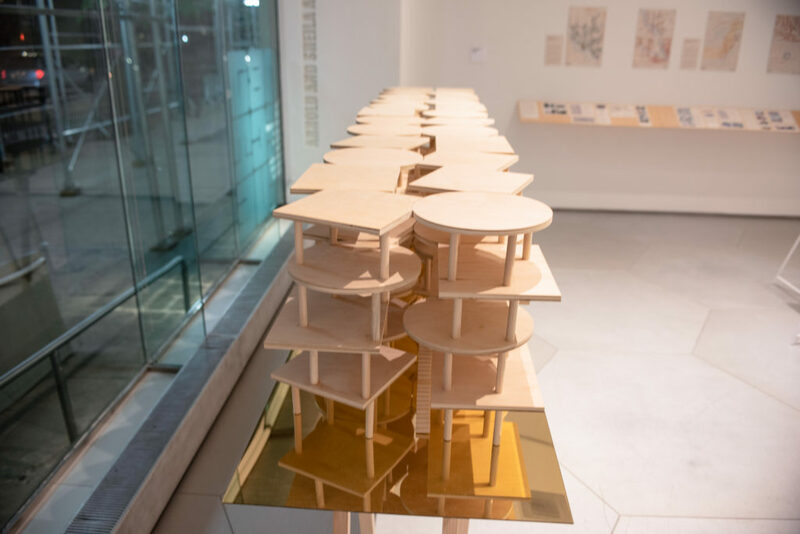 For example, the adaptable system of stacked table tops can offer apartments with sweeping shared balconies, towers with setbacks, superblocks, walk-up units, and more to provide diverse styles of housing to represent the different needs of residents. 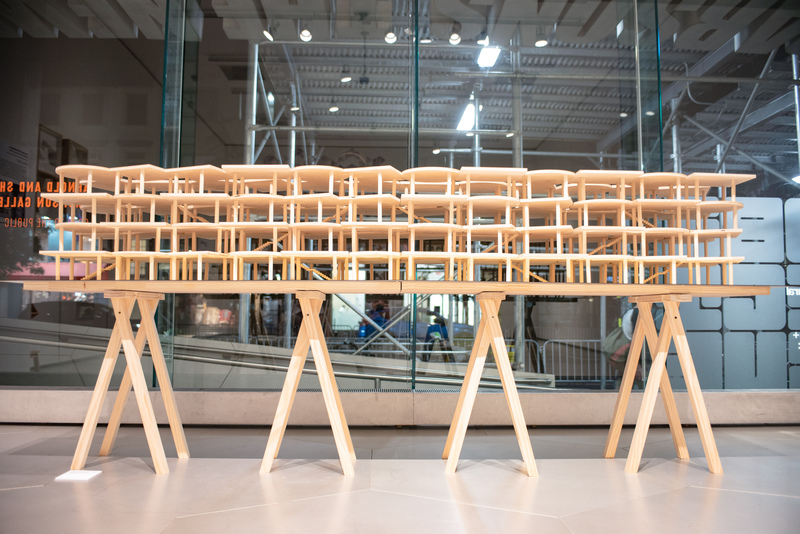 The quirky vision, which previously won 1st Prize for the New York Affordable Housing Challenge, was exhibited in the street-level windows at Parsons School of Design’s Sheila C. Johnson Design Center. 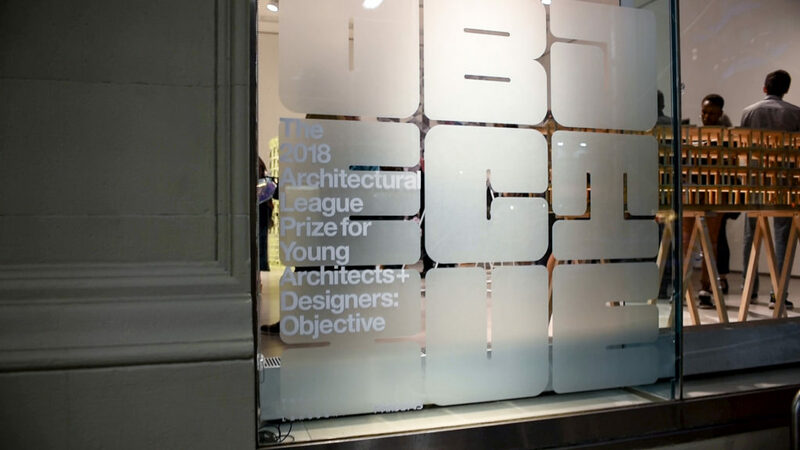 The Fifth Ave. display beckoned curious New Yorkers to stop by the exhibit celebrating the League Prize design competition, which Hunter Douglas Architectural is proud to sponsor. The team uses materials, light, color and geometry to create a “geometrical language,” which Von Glinow says was used to “erase” an apartment building’s standard corridors in order to leave room for engagement between residents and guests. The table’s legs represent infrastructure while the table top, available in different forms from round to rectangle, represent customizable living space. As the differently shaped table tops are arranged, they are intentionally misaligned to create a vertical open courtyard space to bring in light, air and a friendly sense of openness within the structure. 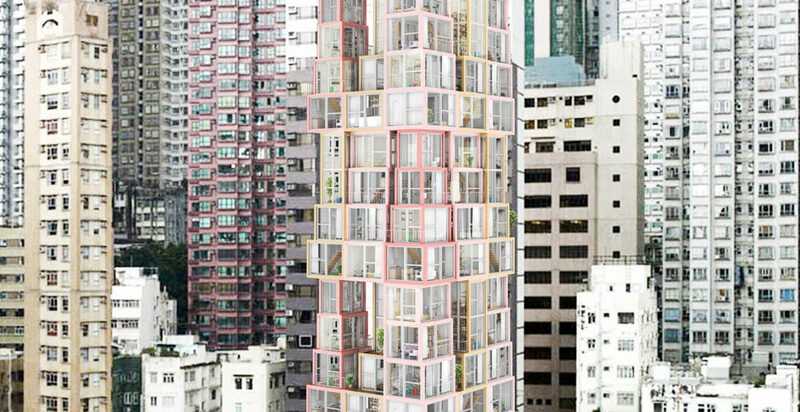 In another alternative affordable housing proposal, Kwong Von Glinow stacked pre-assembled apartment units vertically, rather than horizontally, as a solution for Hong Kong’s urban density issues. As the floors go higher, the units would have smaller floorplans to form a pyramid structure to open communal space between the floors of each home. This layout would create an interior network of halls and landings between units, were, a resident might hang laundry to dry, grow a garden or sit on a balcony with neighbors. 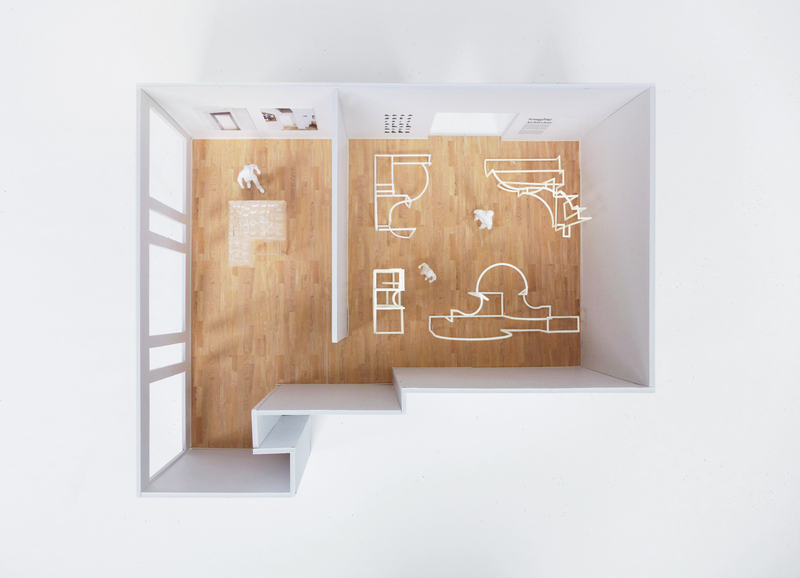 These concept designs echo a Chicago housing project that the design practice is currently working on to transform traditional corridors into “almost like a playroom-type space,” Von Glinow notes. “A corridor is just to get from A to B, but now a corridor is for you to spend time in, and do what you want to do in that corridor,” Von Glinow points out. 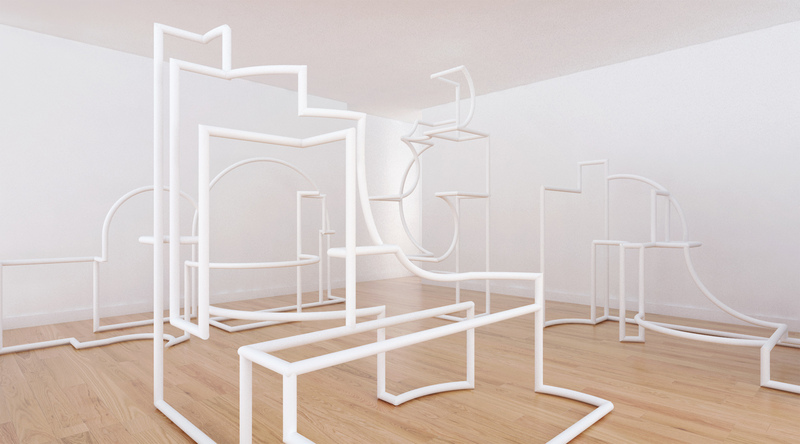 He says this can come with the territory of reinterpreting an ordinary element and creating an abstraction like table tops used to express organic interactions in multifamily housing and new public spaces. 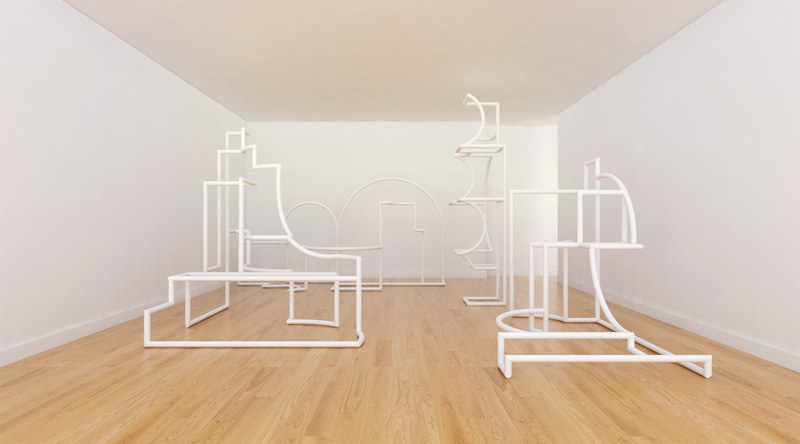 At Volume Gallery in Chicago, Kwong Von Glinow recently exhibited “Smuggling Architecture,” which reframes a 1:15 scale model of a standard suburban house by “liberating” crown molding elements from their typical context. The crown molding is no longer a means of covering up joints with aesthetics. Instead, oversized crown molding forms are used to trace seams and reorder the interior, leaving room for architectural interventions that are unique to the home’s occupants. 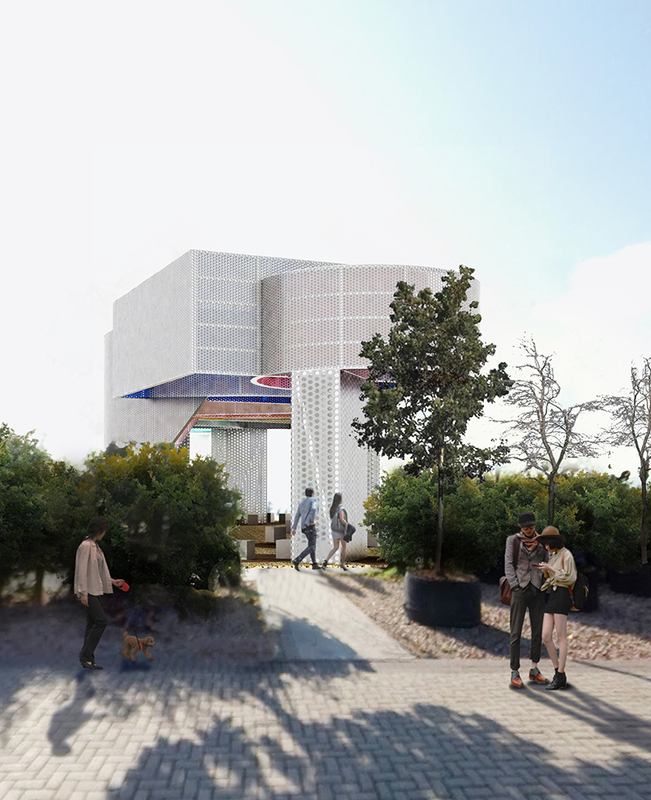 The husband-wife team also focuses on public projects and their first major joint effort since co-founding the design office, was 2016 Chicago Prize competition hosted by the Chicago Architecture Club. 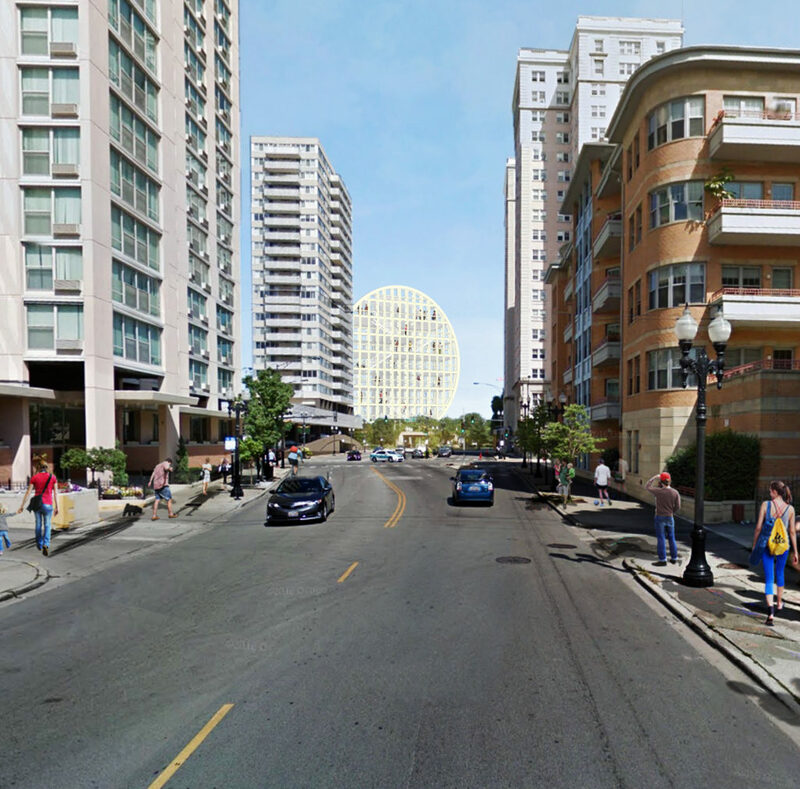 The international biennial competition prompted applicants to consider improvements to a public 26-mile Lake Shore Drive. Eventually though, Kwong Von Glinow found “an opportunity” to propose Lattices on the Drive. The design creates something more out of the ordinary by examining a dark section on the path from the city to the lake that needed improvements. 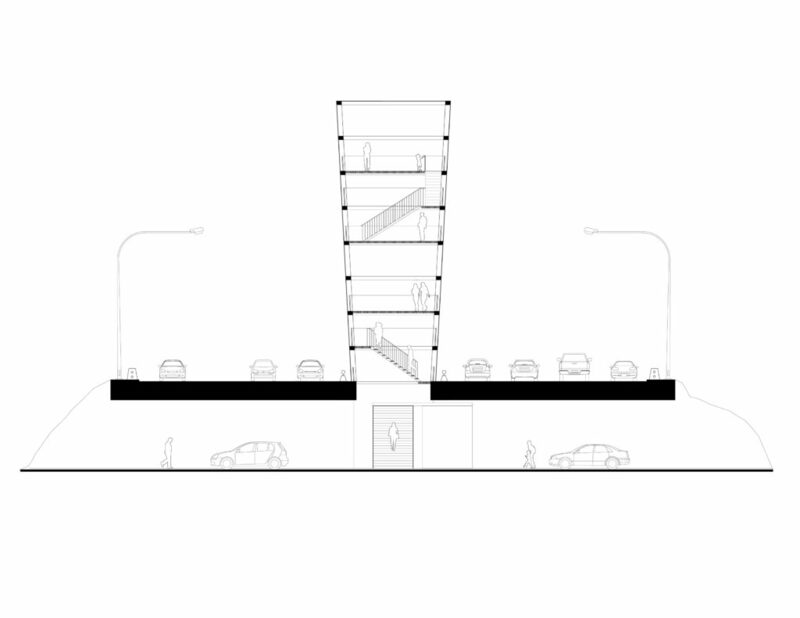 They created a lattice-like design that would traverse above the path so that while cars passed from the city to the lake, locals and tourists alike could enjoy vertical access points at underpasses to a steel-frame upper viewing deck. 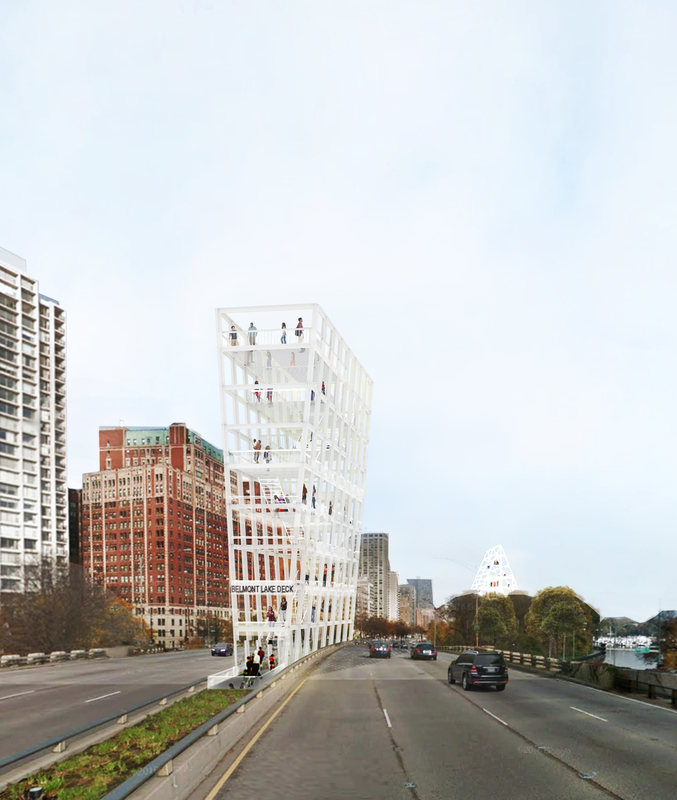 Their idea presented a pedestrian-friendly experience that celebrated stunning views of Chicago’s skyline. 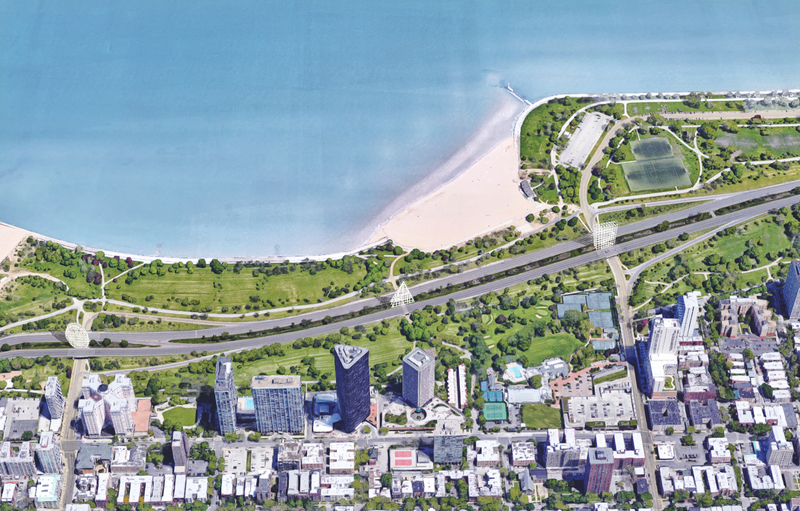 It also created a new space to hang out along Lake Shore Drive, transforming it beyond just a strictly function, albeit beautiful, way to commute from point A to point B. 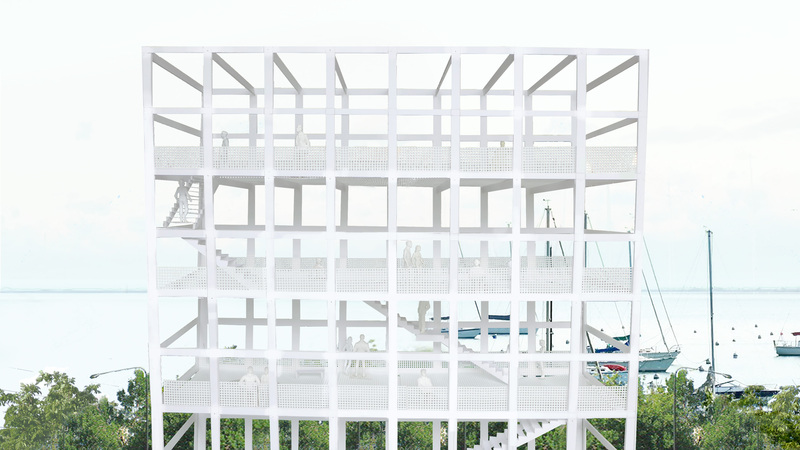 The proposal was exhibited at the Chicago Architecture Foundation. Both partners presented during the League Prize winners’ lecture, discussing the “Objective” in architecture. Yet one of the most memorable and personable moments was when Kwong shared how he wooed Von Glinow, finding creative ways to express and document the unique “language” of love. 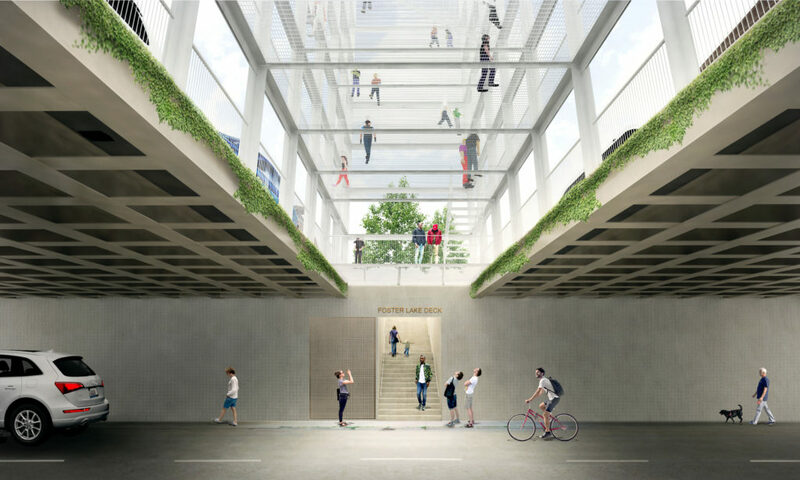 The two met as students at the Harvard University Graduate School of Design in a studio led by Pritzker prize-winner Wang Shu. They traveled together to China with Wang Shu to China, became friends and eventually started dating. 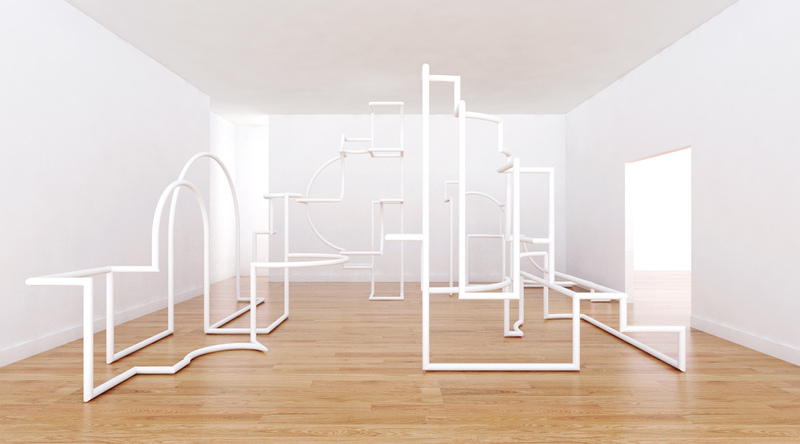 Both went on to work for top firms from Basel, Switzerland to New York to Chicago, before opening their own practice. After gaining exciting, high-pressure experience working for these top firms, “we thought that it was time to start our own practice,” Von Glinow smiles. 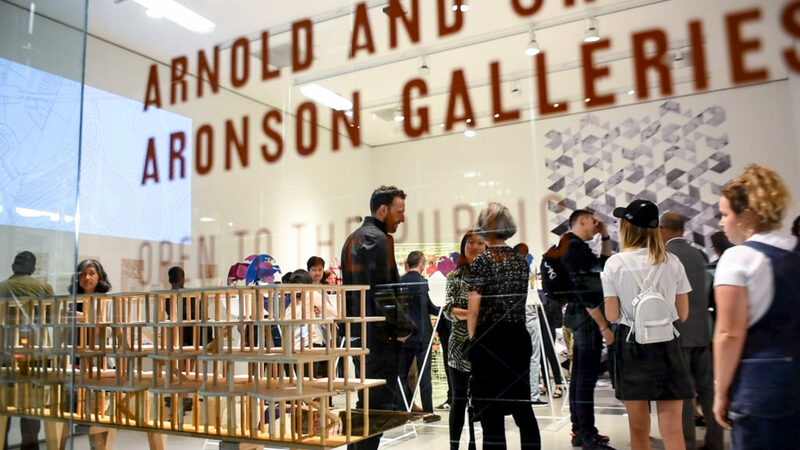 She points out that the team has been “very lucky” to have gained early recognition from competitions like the Architectural League Prize, which turns 38 this year. This in turn has led to more commissions, early publicity and referrals for Kwong Von Gilnow. “It’s still a challenge,” as a young practice, says Von Glinow, but with more projects underway, the office is growing and started bringing on interns.